In a Nutshell: In today’s competitive job market, a single job posting may receive hundreds of applications. Applicant tracking systems (ATS) have gained prominence in recent years because reviewing such a large number of resumés is unrealistic for most hiring managers. Jobscan helps applicants navigate these systems by providing tools to optimize their resumés and LinkedIn pages. The company also offers valuable free resources on its website. Jon Shields, Jobscan’s Content Manager, discussed how ATS has changed the hiring process and how Jobscan can be beneficial to job seekers. Searching for a new job can be a daunting experience. With today’s online application systems and lack of face-to-face communication, you often wonder if anybody is even reading your carefully curated resumé. In 2013, James Hu went through a similar experience while he was on the hunt for a new job. Frustrated that he was not hearing back from hiring managers, he learned that companies increasingly use applicant tracking systems (ATS) to automatically filter out unqualified candidates based on keywords. Applicant tracking systems save hiring managers time but can lead to qualified candidates being overlooked simply because they are not aligning their resumés with the information an ATS may be looking for. Hu set about to create a system of his own to help his resumé get noticed, and Jobscan was born. The program he developed is a tool that analyzes resumés to determine how well they match up to job descriptions and helps optimize them for an ATS. We recently spoke to Jobscan’s Content Manager, Jon Shields, who took us through a deeper dive into how the platform can benefit job seekers and increase their likelihood of landing that important interview. 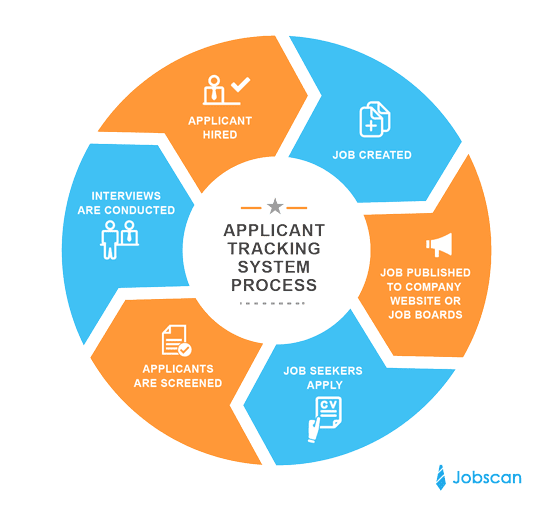 At least 98% of Fortune 500 companies use applicant tracking systems to filter out resumés, according to Jobscan, and more than half of large companies, in general, use them. Shields said various applicant tracking systems work in different ways — a hiring manager may conduct a search for specific words present in a resumé or the ATS may automatically eliminate resumés that don’t contain specific criteria. Either way, the systems can present a challenge for job seekers. 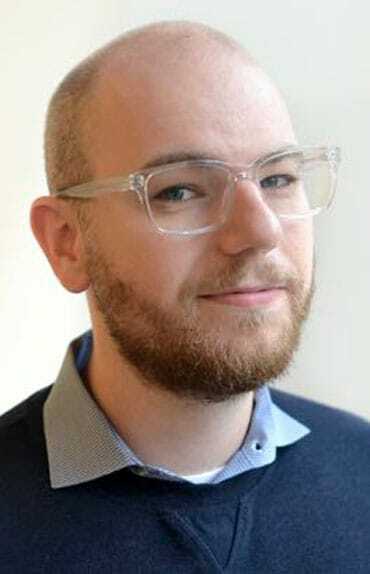 Jon Shields is the Content Manager for Jobscan. Jobscan’s most basic tool allows job seekers to paste or upload a resumé to the Jobscan interface, then paste the job description for the position for which they want to apply. 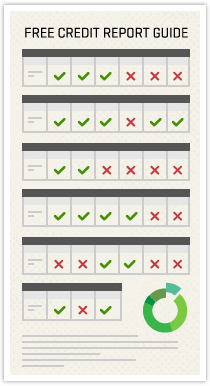 Jobscan will generate a match report to give applicants an idea of how well the resumé and job description match up. The main considerations that go into the match rate are hard skills, education level (when applicable), job title, soft skills, and other keywords. Jobscan offers two premium plan options that come with many added benefits. The monthly plan is $49.95, and the most popular premium plan is $89.95 every three months and comes with a one-month free trial. The features in each plan are the same. With the premium plans, job seekers gain access to a wide range of tools, including unlimited match rate and keyword calculations, unlimited access to their resumé scan history, cover letter optimization, a cover letter template, and a LinkedIn optimization tool. Jobscan’s free offering allows those in the job market to get five match rate calculations and five keyword comparisons per month. They will also have access to a scan history limited to 20 past scans. Many employers use applicant tracking systems to help identify the strongest resumés. Shields said those on the free plan do have opportunities to access more than five scans per month if they participate in various marketing offers available on the site. Jobscan also offers a number of free resources on its website that are available to anyone. Its vast learning center and detailed resumé writing guide likely have valuable information to offer just about anybody in the job market. And whether users are on the free or premium accounts, Jobscan ensures that their data is secure. Shields pointed us to some valuable resumé tips for those job seekers who are feeling overwhelmed and could use a boost. For the complete, extensive 52-point list, job seekers can visit the Jobscan website. Here, we have compiled a sampling of tips that may help land that interview. Be sure to include your name in a prevalent spot at the top of your resumé, in addition to a phone number and email address. With all the other resumé content on your mind, it can be easy to forget the simple things, like how a potential employer can reach you. While using a unique resumé design with lots of flare can seem like a great way to grab attention, it’s best to stick with more traditional formats within most industries. A resumé that’s overly ornate may also lead a recruiter to question how serious you are about the position. And non-traditional structures tend to not work well with an ATS. Add important keywords from the job description to your resumé exactly as they appear, to optimize the resumé’s chances of passing through an ATS filter. The most crucial keywords should be used multiple times. A section near the top of your resumé that highlights specific skills is an easy way to present your abilities that are most important for the job. A skills section is good for ATS optimization and can grab the attention of a recruiter who may be quickly scanning multiple resumés. Applicants who use passive voice on their resumé can come across as being apprehensive or lacking confidence. Writing in active voice also tends to be more efficient, so you can get to your point quicker. Shields said one of the most exciting new features Jobscan offers is Power Edit, which was recently added to resources available with its premium plans. The user can access various tools and tips on the right hand side of the screen, which allows users to edit their resumés based on intelligent keyword and formatting suggestions. And, users can see their score increase as they work. Matt Walker is a Contributing Editor for BadCredit.org and published author with more than 15 years of experience in writing, editing, and strategic communications. Matt uses his extensive background in journalism to help educate consumers on ways to raise their credit scores, and to achieve and maintain financial stability. With his in-depth knowledge and straightforward language, he helps bring financial literacy to millions through articles highlighting the technology, resources, and organizations that can help subprime borrowers get back on their feet.